The question of whether dogs should be allowed off the leash in public places has become a major political issue in cities and suburbs across the United States. In the last two decades, “leash-law disputes” have burst upon the political scene and have been debated with an intensity usually reserved for such hot-button issues as abortion and gun rights. 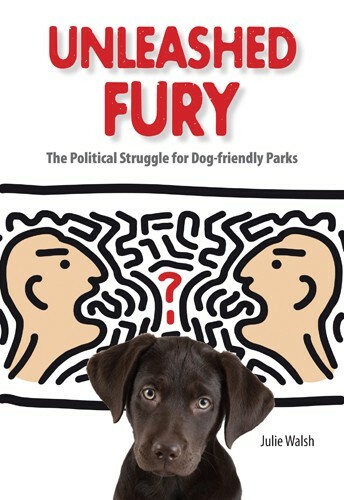 This book investigates what has changed in American community life, social mores, and the relationship between humans and dogs to provoke such passionate responses. 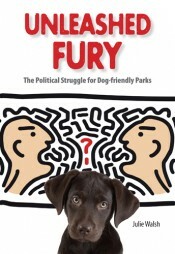 At its heart, the book details and evaluates the handling of three leash-law disputes, all of which were exceedingly divisive and emotionally intense. Two of the cases took place in San Francisco, a city with a reputation as one of the most dog-friendly in the United States until 2001–2002, when officials curtailed off-leash walking. The other case study occurred in 1998 in Avon—a wealthy suburb of Hartford, Connecticut,—when town officials unilaterally imposed a leash law at a popular off-leash park. This book is not only a revealing study of Americans’ conflicted attitudes toward animals and the difficult balance between individual rights and the public good in our communities. It is also a useful source of information for both dog owners and local government officials who are faced with leash-law disagreements. Julie Walsh is an associate professor of political science at American International College in Springfield, Massachusetts. She has previously published an academic work, The Intellectual Origins of Mass Parties and Mass Schools in the Jacksonian Period, which drew heavily on democratic theory, and has written several reference pieces on political parties and elections. In recent years, she has gained firsthand experience of the politics of leashing, attending organizational and political meetings about the issue and informally speaking with people who have fought against leash laws and/or to establish dog parks.